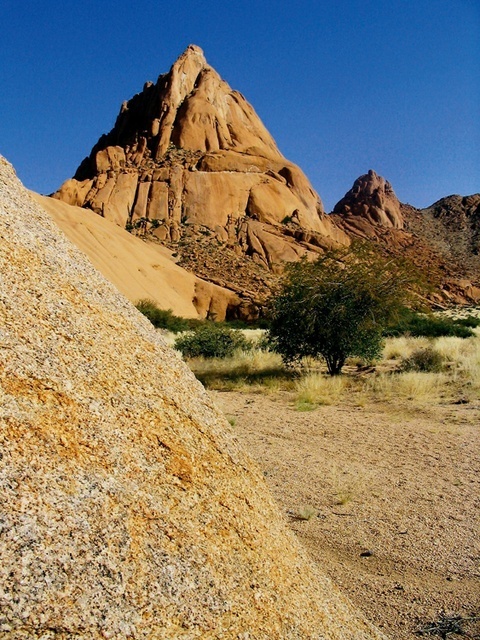 The Spitzkoppe Village is a small settlement near the Spitzkoppe Rest Camp, just before you enter the gate to the rest camp. There are many street vendors selling self-made African art and baby mobiles. There is a basic food shop. In the rest camp you will find a Restaurant.